Blogs normally use informal language with spoken style. However, many readers follow blogs with clear messages and interesting content. At first, the blogs avoid political content. Later, they started to talk about social issues and economic hardships faced by the local community. Dissidents inside and outside Burma finally joined the blogosphere to promote freedom of speech. They talked about various political issues in the country. Some bloggers started to retell the stories of activists' experiences in the infamous prisons in Burma. The blogs have become tools to promote political awareness among the youth. revolution was seen in Singapore. The Burmese community was able to shake Singapore, which keeps dismissing that Burma issue is an internal problem. The activities by the patriotic Burmese in Singapore are testing the limit of the tolerance of free speech in the island nation. Most of the bloggers are not trained in journalism. They do this out of their love for the country and sense of responsibility. Most of them do not even have any formal training on how to get news and report. Learning how to report and communicate effectively are important skills for citizen journalists. It is very important for a blogger to have a clear writing style with creative ideas to interest the readers. Citizen journalists with good reporting skills can fill in the need of the requirements to disseminate quality Burmese news to the international audience. Even among dissident media, except for the Irrwaddy in English and Khitpyaing in Burmese, most of the exiled media have not reached the world class level yet. Most of the media inside Burma are filled with North Korean style rhetoric. Bloggers need to know best practices of the news media and copyright issues relating to reprint of articles from a newspaper or web site if they are to be communicating to the international audience. During Saffron revolution, some bloggers reprint the whole AFP news story instantaneously within hours. That is definitely an illegal practice. 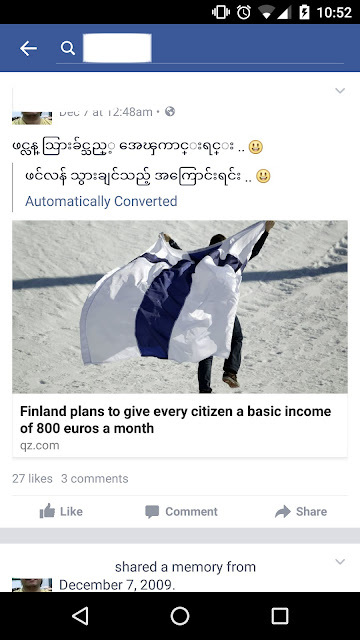 Many patriotic Burmese can play the role of citizen journalists in the future. It would be very beneficial if someone at somewhere with the experience of training journalists can give us a short tutorial or workshop on the topic. I would like to suggest to have a short introductory self-study on journalism and how to write effectively to convey our message to the international audience. I myself would like to learn how to turn ideas into well-presented form of reporting.